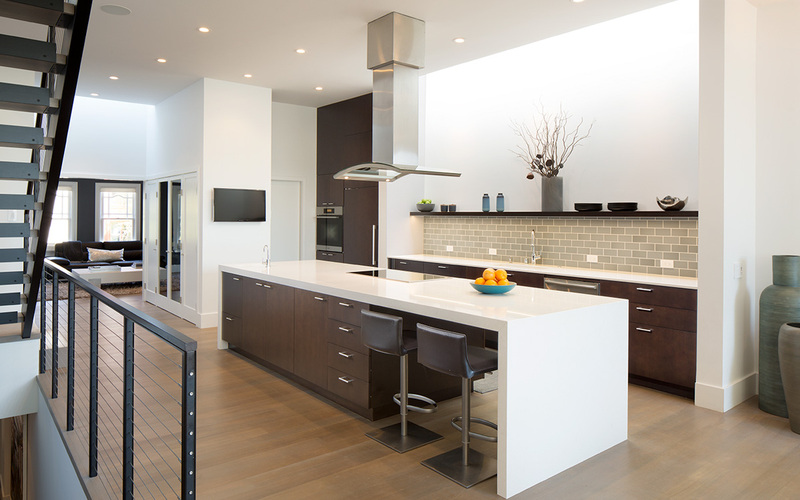 This contemporary design required extensive structural modifications to remove the interior framing on the second level to create a large, open living space and to incorporate a new third level addition. 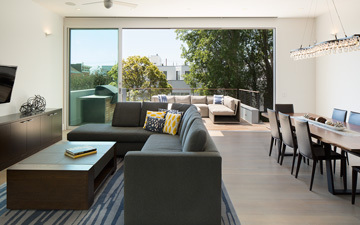 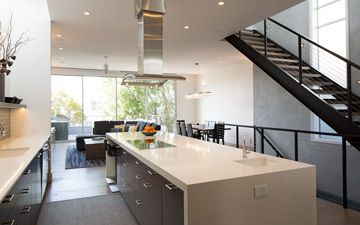 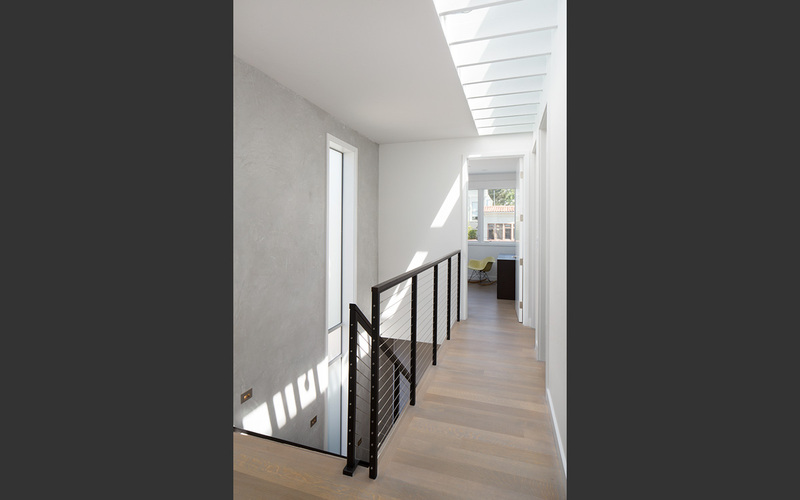 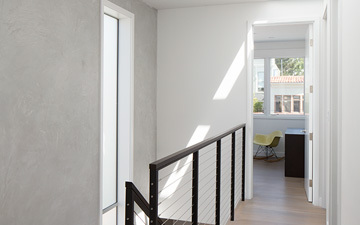 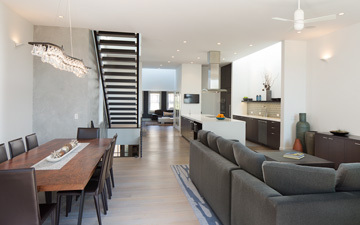 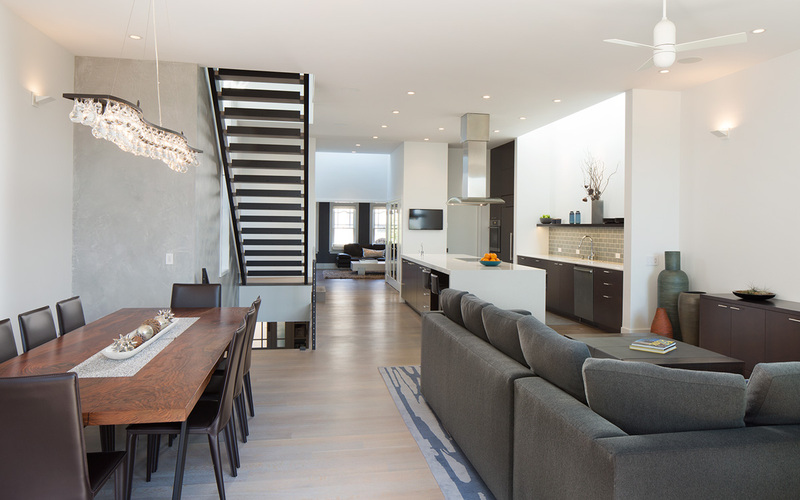 Key features of this Noe Valley remodel include: ornamental metal staircases with open wood treads, floor-to-ceiling Fleetwood multiple bypass sliders at the first and second levels and skylight treatments at each level to allow for natural light. At the kitchen island, waterfall panels frame a twelve foot long Caesarstone counter. 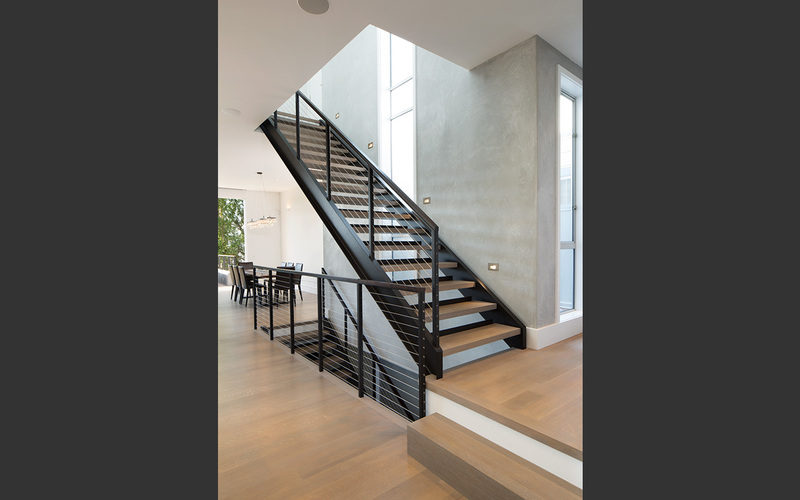 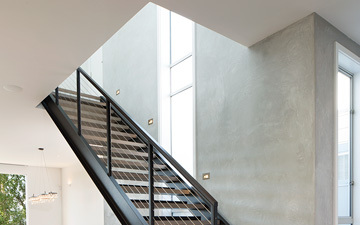 A dramatic veneer plaster stairwell wall spans the entire height of the home, while new quarter sawn rift hardwood floors over radiant heating add to the overall warmth of the space.